Venkat R.P, Principal - Choose a new career !!! A Graduate from any background with good communication skills qualifies. What's the Role of a BA ?Through COEPD, we are striving to bring awareness of a Business Analyst's role in the IT Industry. COEPD delivers training through various channels: Workshops, Online Trainings, Corporate Trainings, Classroom Trainings and Certificate Trainings. 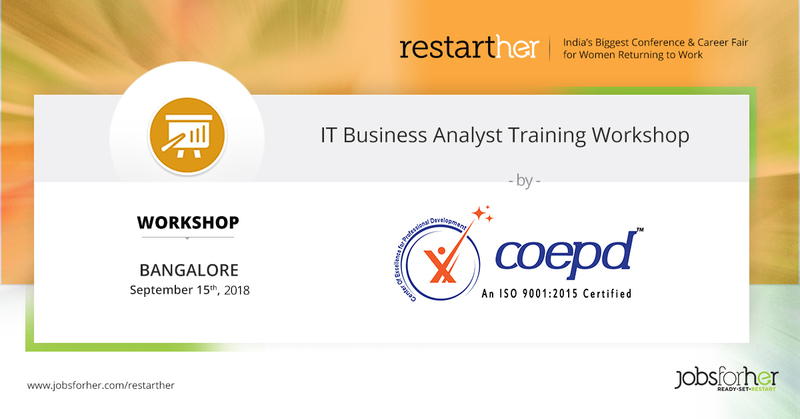 We have developed a unique and practical-oriented program to enhance your client-serving approach, fine tune your skills and gear up for a head start as Business Analyst. Assistance in Resume preparation, Conduct Mock up interviews,High emphasis on placements during post training and on job support post placement.